How do you know when you should have your roof repaired or a full roof replacement. They are a couple of key things a roofing contractor will inspect. 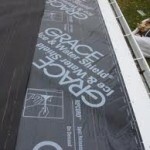 First a roofing contractor will look for signs of water damage. Most of the time a homeowner will be well aware of any roof leaks. There have been many cases that small roof leaks go undetected for years. The plywood or roof sheathing can soak up most of the water. It is always good to take a look into the attic and see if their are mold or dark circles under the roof sheathing. If the answer is yes, you are going to need roof sheathing replacement. never shingle over a deteriorated plywood. always add a rigde vent and soffit vents. go with a roofing contractor that has referrals. Simply adds more years to your roof. Without it, a thirthy 30 shingle can deteriorate in as little as 15 years. So make sure you go with a roofing contractor that does not cut corners on your roof! Rubber roofs can be tricky for some contractors. Some roofers just don’t have enough experience. Their are alot of critical areas that need to be done by a pro. For example most roofers can apply the glue and roll brush rubber. The key to any good rubber roofing job is good practices. I have seen a job where all the seams where not glued together correctly, nor did they caulk the seam, or finish trimming the rubber over the fascia. It really amazes me that homeowner’s let contractors get away or don’t realize when faulity work has been done. Hopefully it is not just the price a homeowner looks at when they recieve roofing estimates. You need to get pictures of their work, referrals, and accredations for their profession. Their is nothing worse than paying for something that does not work or is not quaility workmanship. Ialongo Roofing Company is a quality Rhode Island and Mass. roofing contractor. Ialongo roofing company insures quailty and top notch workmanship. contact us at www.ialongobuildingcompany.com or at 401-447-4264. Get in touch with Peter Ialongo immediatly for all your roofing contractor needs. New England weather takes a toll on the exterior of our homes. We indure rough winters where ice dams build along our gutters. That is why sheathing replacement is most expected in this area. Once the melted snow reaches the unheated portion of the roof it backs under the shingle causes water damage to the roof sheathing. As winter storms come and go your roof sheathing deteriorates. Repairs to the roof sheathing have to be done. Simply adding a second layer of roof shingles will not fix the problem. Once the sheathing replacement has been done installing ice and water shield will solve the melting snow and ice from causing water damage to your sheathing. If you have any questions or just want a R.I. Roofing Contractor to give you free roofing consultation. Call P. Ialongo Roofing and Siding at 401-447-4264 for all your RI roofing repairs, replacements, and services.